The collection of Elephant chairs, with their characteristic structure inspired by the shape of an elephant’s back, is enhanced with a new item: the bistrot table. Based on the trestle base of the swivel version, in polished or painted pressure die-cast aluminium, it supports a thin round top. The idea has been extended to also include a version with a double base and a rectangular top. 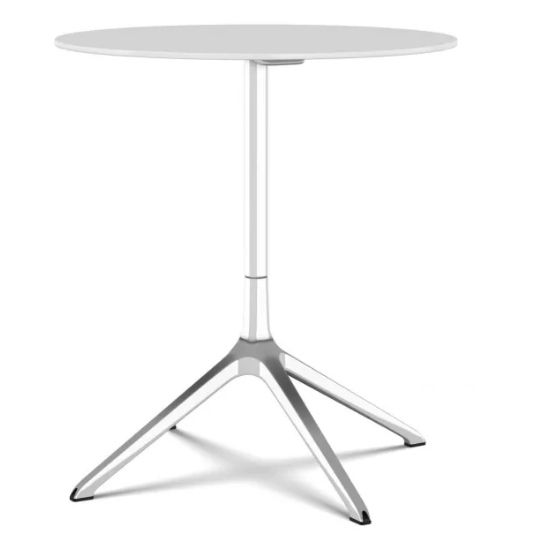 Versatile Elephant tables are available with tops in different colours, either fixed or folding, to suit the most diverse needs and contexts: the home, the office or contract furniture projects.